Because our house is mostly back together (pictures coming soon!) 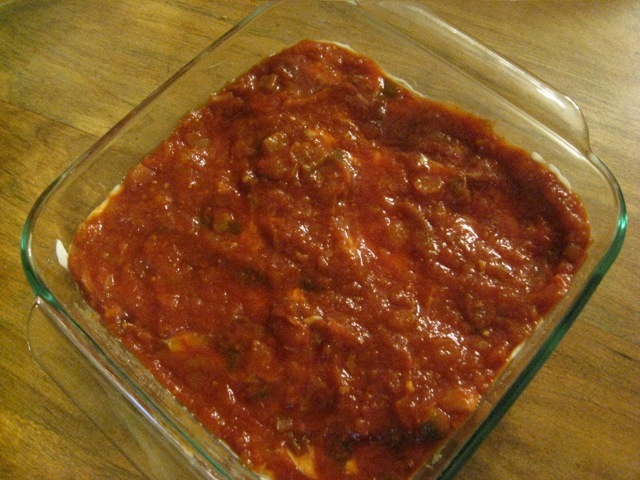 and because today is college football and I’m craving bean dip I think it’s time to post this recipe. 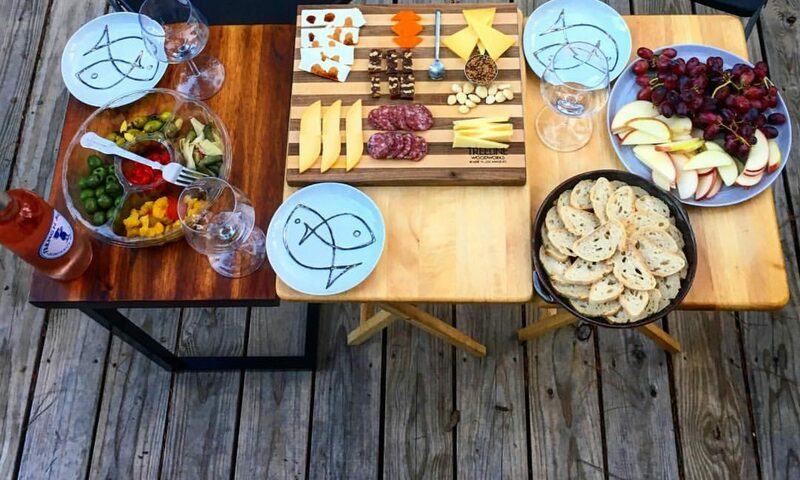 It’s the perfect recipe for the blog comeback – simple, delicious, and a real crowd pleaser. 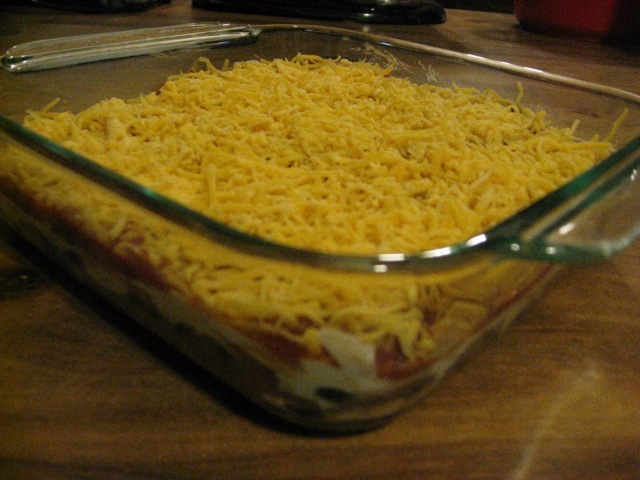 The first time I had this dish, I was a freshman in college and Shannon baked a bean dip and brought it to the ladies of 2 East Landis Hall as a finals week treat. I quickly asked for the recipe and I’ve make it countless times since then. 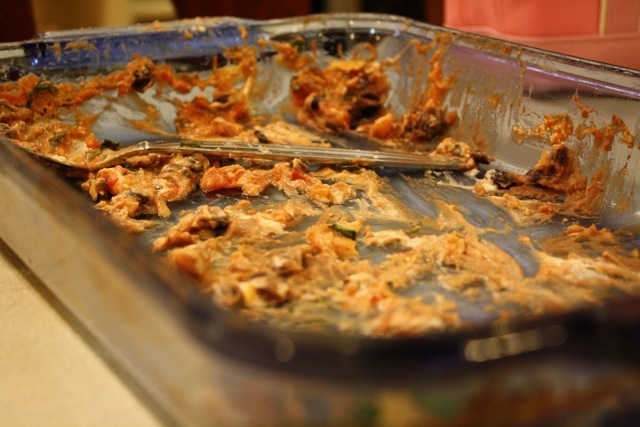 The students at my office rave about the bean dip and when I show up with one at potluck events I am met with “Yes! Jillian brought the delicious dip!” So I’ll pass along the recipe because it is delish and perfect for tailgates, holiday parties, and (if I’m being totally honest) dinner. Enjoy! Preheat the oven to 350 degrees. In a bowl, gently fold black beans into refried beans, making sure not to smush the black beans. 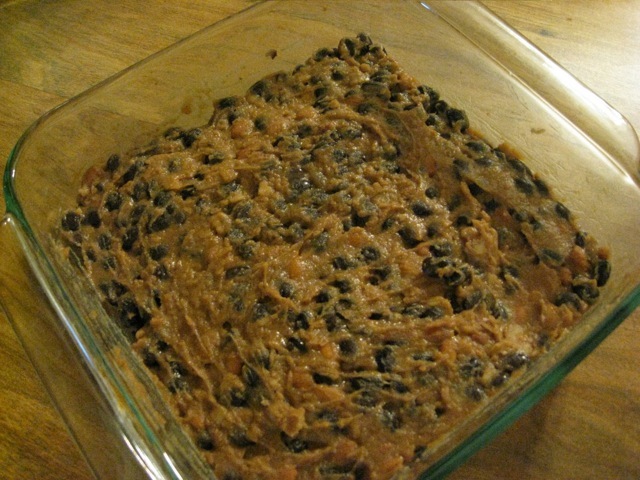 Spread the bean mixture on the bottom of an 8×8 or 9×9 glass baking dish. 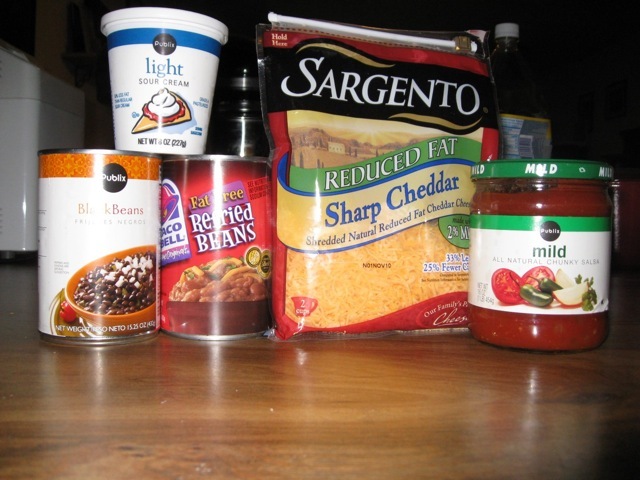 Spread the sour cream on top of the bean mixture. Spoon the salsa on top of the sour cream, keeping the two in distinct layers. Top the salsa with the cheese. Bake uncovered for 20 – 30 minutes until hot and bubbly. Serve warm with tortilla chips. 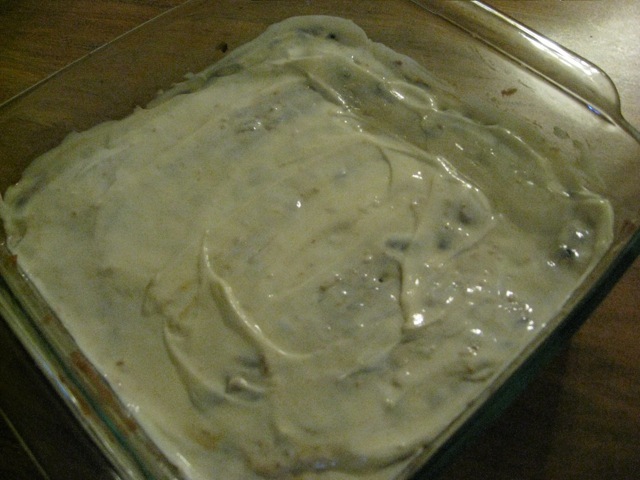 Sometimes, if I’m going to a gathering with a lot of people, I’ll double this and bake it in a 9×13 pan. If you like cilantro, chop a handful of cilantro and sprinkle on top of the bean dip as soon as the dip comes out of the oven. You could also top with diced avocado. Or, if you are me, you can top it with both!